GTArcade has announced the pre-registration event for its upcoming mobile game, Legacy of Discord – Furious Wings. Take part in this pre-registration event and win awesome prizes! Go to http://lod.gtarcade.com/preregister to participate now! 1. Gift code. 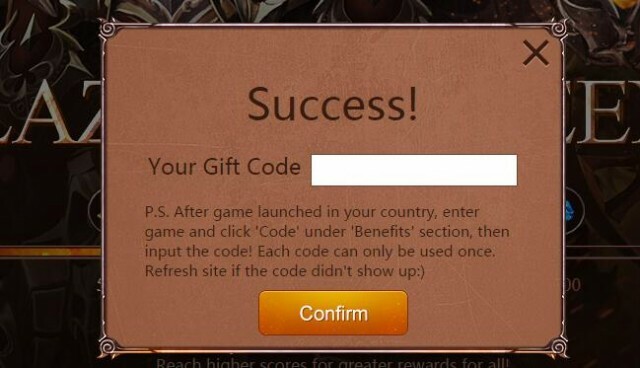 You will receive a gift code immediately once you complete the pre-registration steps. 2. Special Launch Rewards: Take a part in our ‘Special Launch Events’ simply by ‘Like’ and ‘Share’ button on the site to achieve higher scores for greater rewards! LOD is a multiplayer action RPG designed for mobile that lets you experience intense real-time combat as you hack, slash, and blast your way through a huge fantasy world! Party with friends to raid treacherous Dungeons or clash against rivals in the Arena and large-scale PvP Battle grounds! Upgrade and transform yourself from a fledging warrior to an unstoppable God of War.